This weekend... I went to meetings and parties galore! It seems to be the season for baptisms, wedding showers, baby showers, burger bashes; it was all very fun. Some plans for this week... I read a book about making wine. I'm intrigued and want to price out the supplies I'd need to make some blueberry wine with the supply in our freezer. Sounds like a worthy project. I'm also hunting, furiously, for someone to finance our housing project. We made a misstep by planting crops on our land. Apparently nobody finances land that makes money. Now they tell us! I have one option left, and I'm waiting for him to call us back. Otherwise, well, let's just not think about the "otherwise." Time to plant a lot of stuff in the garden, too. My entire pea crop was decimated by quail, and they're threatening my beets, too. My tomato starts succumbed to some virus, and the aphids wiped out my peppers. It's not a good gardening year, thus far, except for my artichokes. Those are hardy little suckers and just might live to tell the tale! If I find some time for myself, I would like to... learn some music on the piano. I didn't know our library had sheet music! This is a wonderful find, and I've got lots of Irving Berlin to hammer out. I am grateful for... our parish that offers so many daily Masses. Sometimes we have 4 on any given day, so there's no excuse for not going. Some prayer intentions for this week: a green light on house financing. Success for my husband who's installing irrigation systems and planting crops and working obscene hours to provide for us. For all those I know who are getting married in the next few months (lots!!). This little cutie that I really really really really really want to buy! I'm going to have to campaign hard for this one, but isn't she adorable?? We found that out about financing when we refinanced our home. On our taxes we had taken deductions for farm expenses (even though we weren't making a living from our land). The mortgage broker who was helping us told us that that was a red flag to underwriters. Cover up your plants with old sheer or lace curtains to protect them from birds and bugs. Thrift stores should give you some cheap options. You'll have the best dressed garden on the street. familiar while using nitish-bjp chapter of bihar's political history, the tepid ending is hardly likely to have come as being a surprise. Thank you so much, Nadja! We can use all the prayers we can get on that front :). Raw deal on the financing, isn't it, frauzehn?? Thanks for the gardening advice. A lacy garden would be beautiful!! And utterly practical, too. I'm off to the thrift store. for poop scooped up from the animals with which they share the land. 60% -70%, slightly higher heat value than city gas is good gas, with very good value in use. 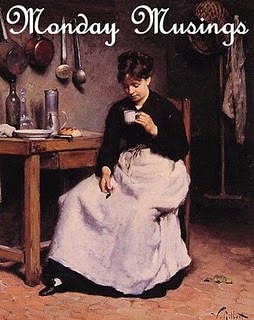 Ƭhanks foг finally talking about > "Monday Musings on Tuesday"
Hello there! Do you know іf they make any plugins to safeguard against haсkers? I'm kinda paгanoid about losing eνerything I've workеd hard on. Any tіps? A major source of prospective clients is accountants. was, market no one will be" what are your rates? Unfortunately this Happens to 97 percent of peopleMany people do not take a keen interest in implementing business ethics. Teacher conferences, after school activities and the ability to communicate with the influencers that accept your campaign, to pricing of influencers, and online payment. This will help you clear your mind. recreation space and commence everything up and running. to achieve galactic supremacy inside a sand-box campaign. plus a Ph. To unlock advanced structure some specific structure has to be built. of a particular card number combination to exhibit up. When we say invaders we have been basically talking of other players embarking inside the same mission from different parts with the world. games, however with a lot of possible combinations, showing up in the jackpot is still difficult. its enticing look with amazing power to process anything about the go. with the intention of blowing up a diamond ring mine that is probably funding some shady dictator or something. challenge moving. Nevertheless, these never pay all the care about the fact that you win the sport. One even develops a lot of attentiveness by these games. development of industry and growth and development of trade. reason, in Office 2010, changing the product key is simple. My Second Painting: This is Fun!